The regeneration company behind the Bexhill Enterprise Park has been awarded £1.9 million of government funding to more than double the existing site. 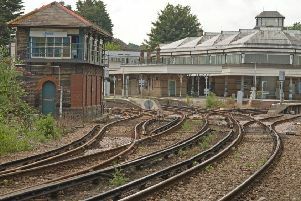 Sea Change Sussex will use the money to extend the current site to the northern side of Combe Valley Way, to accommodate more jobs. The funding is intended to enable Sea Change Sussex to build new site roads to facilitate the development of office, light industrial and manufacturing premises in an area the company is calling ‘Bexhill Enterprise Park North’. 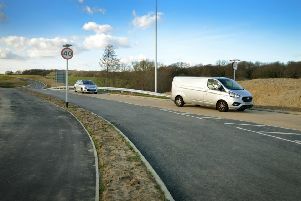 The site roads will come off the North Bexhill Access Road, which Sea Change Sussex opened last week to connect Combe Valley Way and Ninfield Road and provide access to the additional development land. The company gained outline planning consent for a total of 360,000 sq ft (33,500 sqm) of business premises on Bexhill Enterprise Park North in May 2018. A planning application for the site roads has already been submitted to Rother District Council, along with an application for 86,000 sq ft (8,000 sqm) of light industrial units on Bexhill Enterprise Park North from local developer Westcott Leach. Westcott Leach has previously developed industrial premises on the Eastside Business Park in Newhaven and the Swallow Business Park in Hailsham. Wescott Leach intends to start construction of the industrial units as Sea Change Sussex builds the site roads. The £1.94 million grant is from the Government’s Local Growth Fund. Sea Change and its East Sussex partners have been awarded the funding by the South East Local Enterprise Partnership (SELEP), after it assessed the business case for the site roads. Alongside the construction of the North Bexhill Access Road, Sea Change has also recently installed a water main and electricity supply to support the business and housing developments to follow in this area. The Bexhill Enterprise Park lies to the north-east of Bexhill, two miles from the town centre.